RE/MAX real estate central alberta has been successfully operating in central Alberta since 1981. We have a strong presence throughout the area with offices in Red Deer, Sylvan Lake, Lacombe, Ponoka, Blackfalds and Rocky Mountain House. More than 65 highly successful Sales Associates with hundreds of years combined experience form the backbone of the company. We are a large family committed to the success of our clients and the communities we work in. 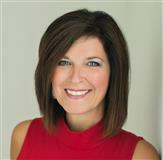 RE/MAX agents are known across Canada and around the world for delivering exceptional service and top results. 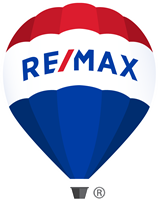 Our agents and brokerages consistently outperform the competition, and the RE/MAX Balloon has come to be a trusted symbol of excellence in real estate. RE/MAX real estate central alberta's mission is to continue to grow and pursue excellence in all aspects of our business by being there for you the client. As is often said, real estate is about location, location, location. We have extensive knowledge of Central Alberta and can help you find the right home for you or the right buyer for your home.